BTS Army Bomb Giveaway to Celebrate the Finale of SAVE ME! Today is the day! 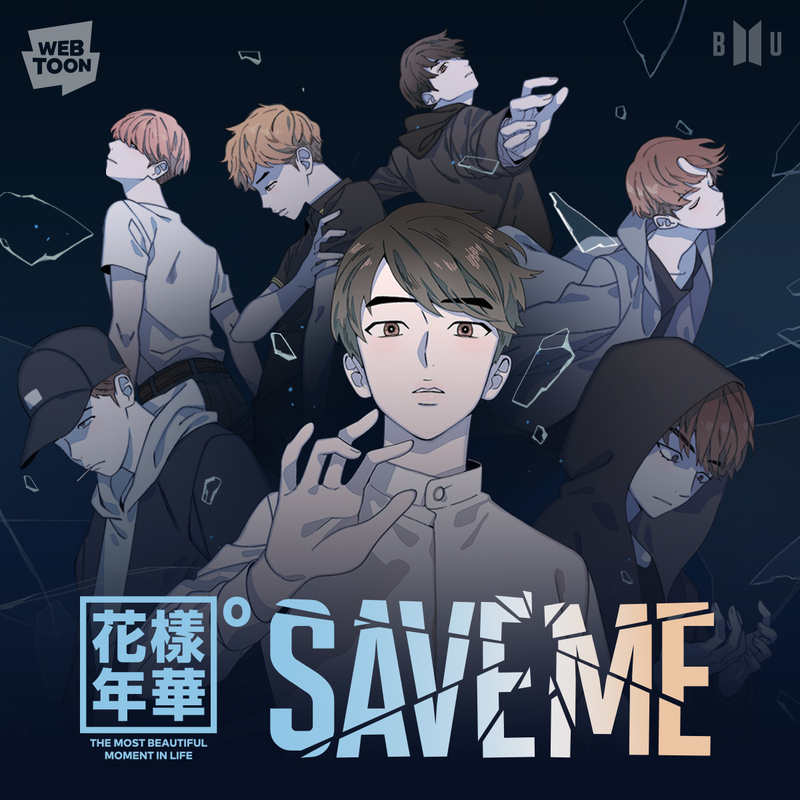 Today is the finale of SAVE ME, the webcomic set in the BTS universe that connects the last three years of clues in their videos. Read on for a special giveaway in celebration of the finale! I live under a rock and had very little knowledge of BTS as a group or their sprawling video universe until SAVE ME debuted in January. I read the first three chapters of the comic and was hooked, and from there I tumbled down the rabbit hole into their videos thanks to links provided by thoughtful fans on Twitter. For those of you who may have lived under the same rock I did, uber-popular K-Pop group BTS has a massive shared universe that started out centered around their music videos, which feature characters based on members of the group, and from there expanded to include short films, short stories, and webcomics. Set seven years after the characters have gone their separate ways, SAVE ME is a Groundhog Day-type story where one of the boys gets the chance to go back in time and save his friends. The comic launched with over 1 million subscribers and 24 million views, topped trending topics, and was in the top 10 on multiple charts in the App store. Even for someone with no prior knowledge of the universe, the characters and storyline were extremely compelling – although I’ll admit things started making a lot more sense once I got into the videos! This is a really good comic on its own. I really like the art style and the color palette. The final two episodes of the comic are now available and holy cow, I was not prepared for that ending! 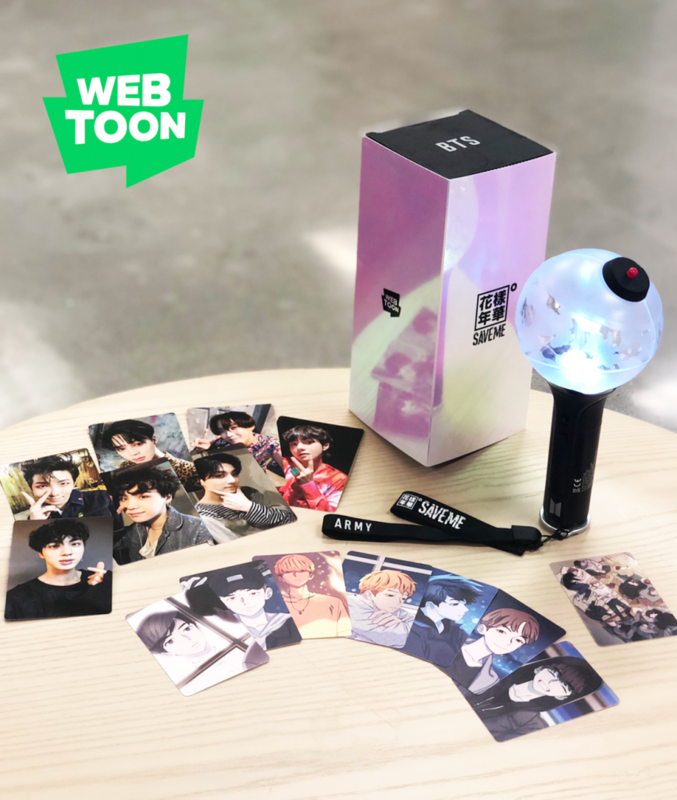 Thanks to the good people at Webtoon, we have an amazing giveaway for BTS fans! We have one limited edition BTS ARMY BOMB Light Stick! Only 50 of these have been made available in the US and you can win one right here at The Geekiary. DESCRIPTION: Contest for BTS ARMY BOMB Light Stick (courtesy LINE Webtoon) begins on Thursday, April 11 at 12:00:01am Eastern Time and ends Wednesday, April 17 at 11:59:59pm Eastern Time. ELIGIBILITY: Contest is open to all lawful permanent US citizens or residents of the fifty (50) United States and the District of Columbia, age 13 or older. HOW TO ENTER: Following the prompts on the above Rafflecopter, there are six (6) total ways to enter (2 mandatory, 4 optional). Each item on the Rafflecopter gives one (1) entry in the contest. MANDATORY: (1) Follow @TheGeekiary Twitter account using your personal Twitter account. (2) Tweet BOTH the link to this post and the hashtag #BTSSaveMeGeekiary. OPTIONAL: (3) Follow @TheGeekiary on Instagram. (4) “Like” The Geekiary on Facebook. (5) Subscribe to The Geekiary on YouTube. (6) Follow @LINEWebtoon on Twitter. WINNER SELECTION: On or around Thursday, April 18, one (1) winner will be randomly selected from all eligible entries. Odds of winning depend on the total number of eligible entries received. We will make two (2) attempts to contact said winner via Twitter direct message or email. Potential winner must respond within two (2) business days of the initial notification, or an alternate potential winner may be selected from the remaining eligible entries. PRIZE: Prize consists of one (1) official, limited edition BTS ARMY BOMB Light Stick. Approximate Retail Value [“ARV”] of prize is Forty Dollars ($40.00 USD).